Soy Martin y tengo 8 años , Los guias me trataron muy bien, me gusto mucho el paseo, Lisandro me ayudo mucho . 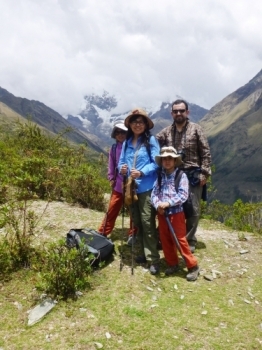 Me gusto mucho acampar , me gusto venir a Perú . Tambien quiero agradecer a los Guias por poder hacer este viaje. Me gusto ver animales en este viaje, conocí muchas cosas y muchos lugares bonitos . Very impressed with guides, especially. They did a Great job getting The horses control after it kicked me. They played music on our trek and gave us lots of Information about The places We trekked thru. Para mi fue una experiencia maravillosa. Cada una de las personas hizo tan bien su trabajo que todo resulto perfecto, muy agradable. Otra cosa que quiero destacar es que disfrute increíblemente las ceremonias que se hicieron en la parte mas alta, especialmente cuando Eloy toco la queda y meditamos mirando la montaña escuchando música. 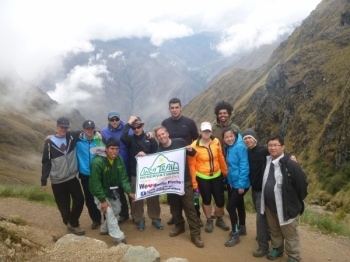 Our experience on the Inca Trail was fantastic. 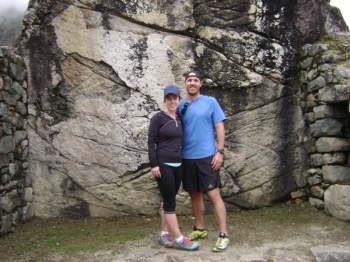 All four days were filled fun, laughter, and plenty of challenging hiking. 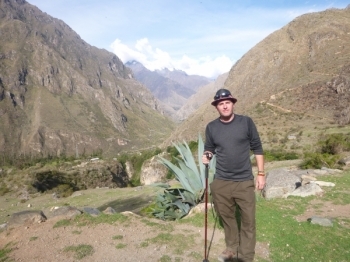 Just arrived at Agua Calientes for some refreshments after the four day Inca Trek with Inca Trail Reservations. 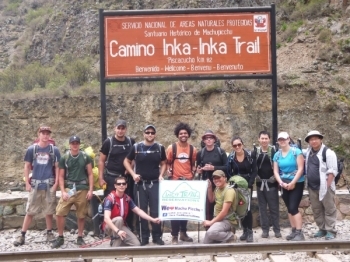 Hiking the Inca Trail to Machu Picchu with Inca Trail Reservations was a fantastic experience from start to finish. The grabber or the grabbed? What a fantastic 4 days! I have had an incredible time. A little physically demanding at times, But totally worth it!. The tour was fantastic. 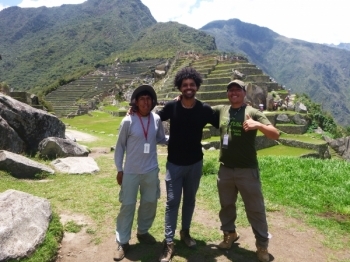 Victor was a very knowledgeable and welcoming guide. It was a little harder than we thought, especially Day 2 (enjoy the massive uphill) but we still enjoyed it. 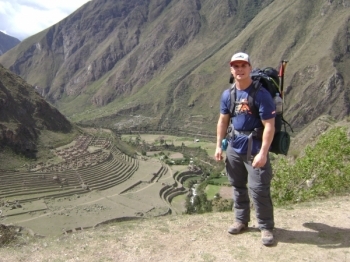 Well i have to start by saying the Inca Trail to Machu Picchu was and experince of a life time. 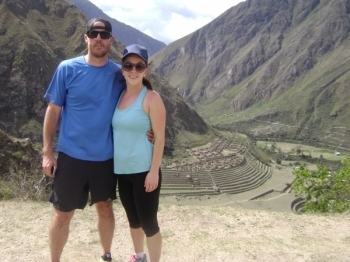 We just finished the inca trail trek to machu piccu last night. It was amazing. 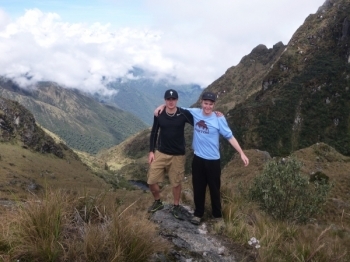 the inca trail was just as enjoyable as Machu Picchu. An ambition completed in style! 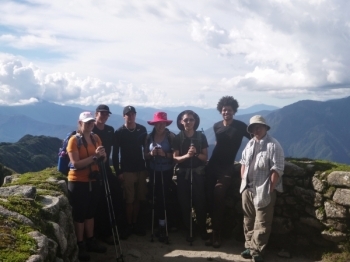 The Inca Trail is one of the most famous hikes in the world, and it's long been on my list of adventures to tick off and it lived up to all the expectations! 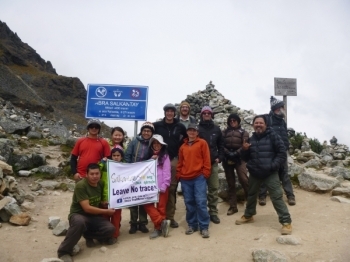 With the weather definitely on our side, we spent a fantastic four days and Three nights walking this amazing Trail. 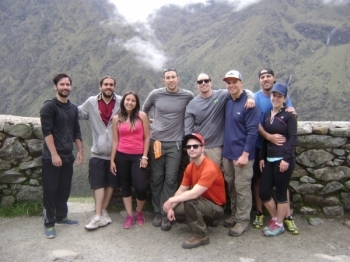 The entire experience of the Inca Trail is incredible and I would highly recommend it to everyone. 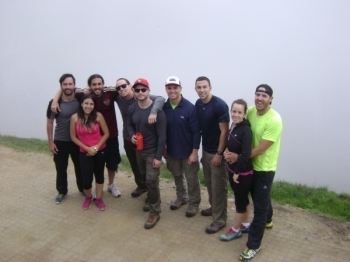 Inca Trail un equipo de primera! 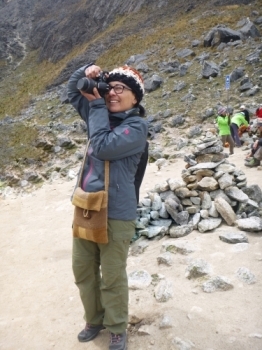 Esa empresa ha hecho que mi paso por Machu Pichu sea una experiencia inigualable. No solo a nivel físico sino personal. 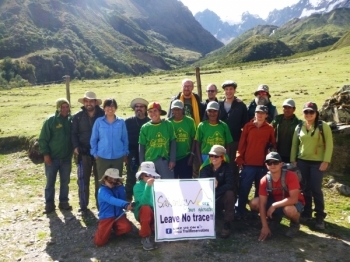 Quiero recomendar a Inca Trail Reservation a todas las personas que quieran vivir una experiencia diferente a la hora de realizar el camino del Inca.